But here is a special trade secret just for you. There is an approach that will achieve all three of these goals, and that is delivering a quality online application process for your clients. You might begin by asking what percentage of financial institutions are offering an online loan experience today. According to the most recent digital banking study by the ABA, here are the numbers. When you consider the typical technology adoption curve, online applications are still in the early adopter stage for commercial and small business loans and the early majority stage for consumer and mortgage loans. These rates of online application by loan category are not surprising. Financial institutions were heavily influenced in the early 2000s by the rise of online mortgage lenders, mainly Quicken Home Loans. The wave of online lending for consumer loans began as early as the late 1990s, also spurred on by fintech investment in the sector. Both areas are now entering a stage where the emphasis is on enhancing the client experience even further, through more streamlined processes, electronic financial records delivery, electronic signatures, mobile delivery, and more. Keep in mind that all of this is occurring in an environment where financial institutions are seeking more efficient ways to serve the small business community. In this market segment, it is more difficult to achieve profitability on loans under $500K, given the underwriting and documentation requirements. 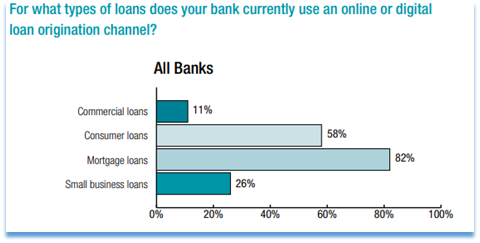 Consider this quote from the ABA Digital Banking study. Also factor in what it costs your institution today to underwrite, document, close, and monitor a small business loan under $100K. Here are some numbers. At the same time, financial institutions across the US are being encouraged by regulators to increase the availability of small business loans. That is why we see the migration toward online commercial lending as an unstoppable wave that will continue to follow the trends we have seen during the last decade on the consumer side. The market is demanding it, and, at the same time, it increases efficiency and profitability for financial institutions. The only remaining consideration is customer experience – and it is, in fact. a huge consideration. Financial institutions live and die on customer experience. When you really analyze it, your long-term success is driven by two factors, credit quality and customer experience. 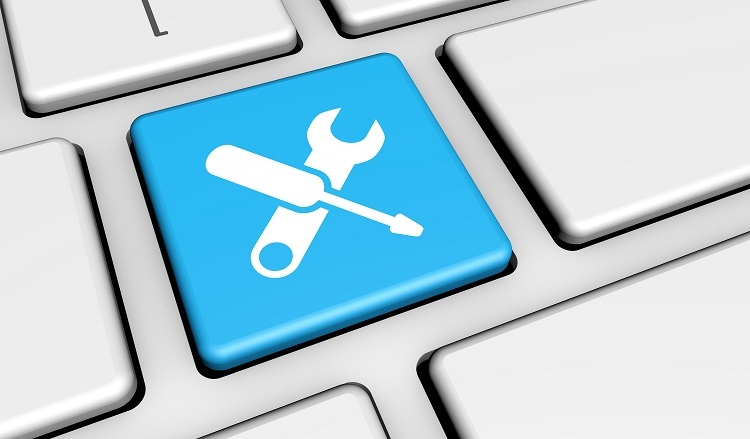 As you migrate to an online lending process, both must be front and center. A successful migration of your processes will either succeed or fail based on which systems you decide to deploy, which vendors you decide to trust, and how you convert your staff from current manual processes to a more digital environment. I encourage you to look at the loan management numbers presented above in the PayNet study and apply them to your own institution. Can you enhance client experiences and improve profitability by introducing more online processes? The wave is coming – are you ready for it?